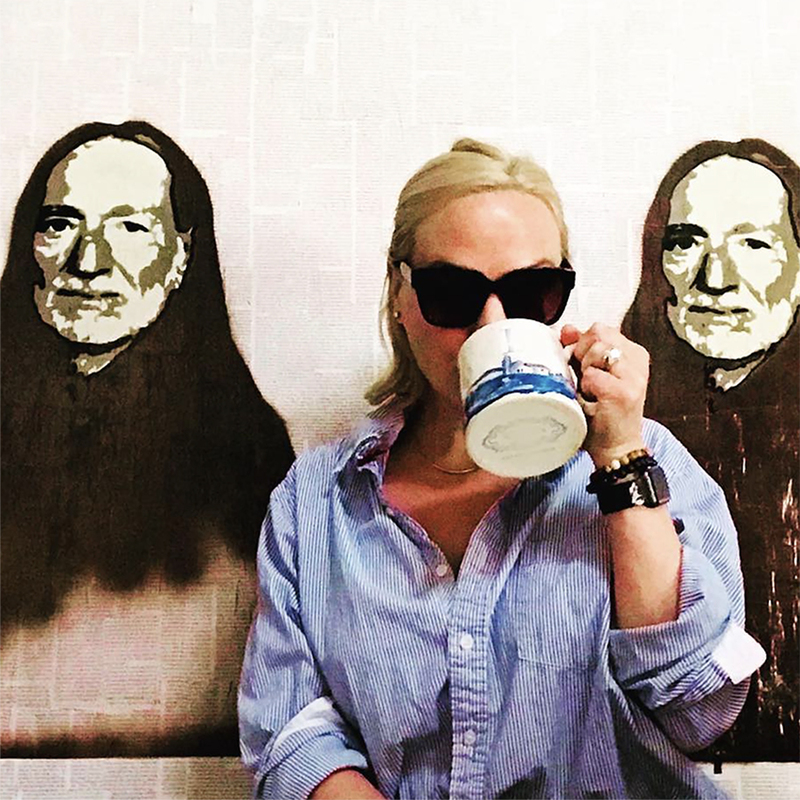 Anne Albritton Boyd, née Anne Genung, is a Houston-based artist, most well-known for her Willie series, which is marked by a graphic use of color and references to pop culture under an often humorous guise. Each collaged work is first created with an aerosol stencil of his unmistakable features and then with only a palette of re-purposed paper becomes a commentary on Willie Nelson’s ability to transform himself and yet remain himself in various guises. The work is inspired by a love of color, street art, and traditional portraiture. The overwhelming adoration of Willie Nelson however, beloved Texas figure & mascot to us outlaw Texans and gentle humans of the earth alike, is the true heart of the work. Raised and educated in both Dallas and Madrid, Anne attended Pratt Institute and Parsons School of Design, studying fashion design, graphic design, and illustration. She has additionally called Santa Fe and Austin home, but now lives and works in Houston with her family and menagerie of rescue animals. Anne is currently creating artwork for two upcoming cookbooks and is also, and always, taking commissions for Willies and working on assorted series for sale. Her work hangs in private homes & businesses in the United States, Western Europe and Asia. Up to this point, HUNDREDS of Willies have been made; the very first created in a Parsons illustration class in the Spring of 2001 for a proposed album cover assignment. No one in Anne’s class could identify Willie Nelson, by no fault of her spot on portrait btw, as they had additionally shown no glimmer of recognition upon then hearing his name. Anne was livid that her peers were so incredibly daft?sheltered?un-American??? Anne’s take away was that Willie was something very specific that belonged to her, belonged to where she came from, and had been the soundtrack to so very much of her life. Willie reminds us of how he makes and made us feel; he was fun & funny on our nights out, miserable as well the next mornings, and always a consummate compassionate compadre when it all went wrong. He’s a gentle, unapologetic, sarcastic Buddha, who helps more than he hurts, and tries to stay in the present. 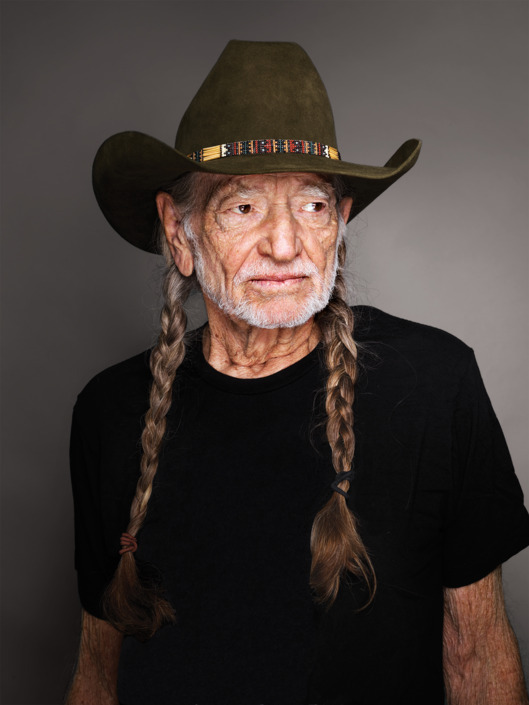 Willie is attainable goodness.